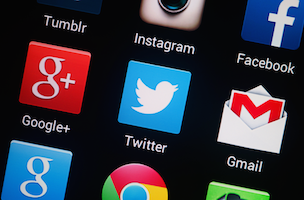 Almost nine in 10 of Twitter’s active users are located outside the United States, reports GlobalWebIndex. In their last quarterly report Twitter revealed that they had 271 million active users, and that 211 million of these were non-U.S. This equates to 77 percent, slightly less than GlobalWebIndex’s 87 percent estimate. Twitter isn’t alone in this split. 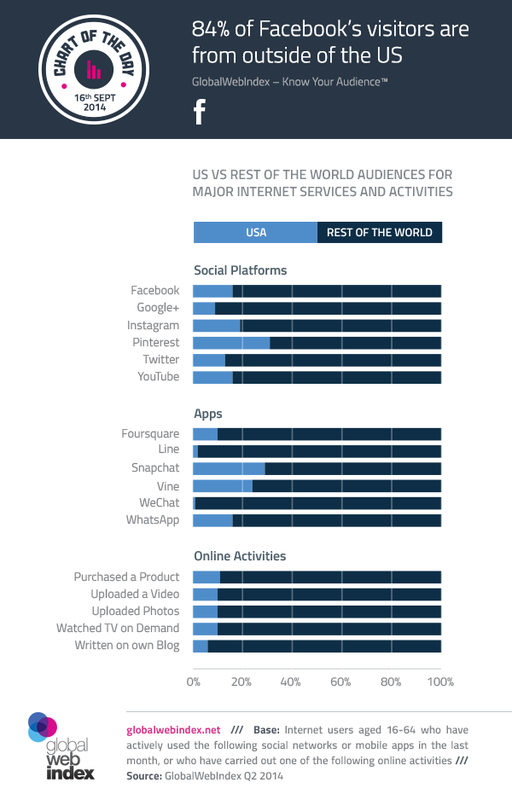 84 percent of Facebook users are also located outside the States, and all the major social platforms and apps skew heavily towards international fans, especially Google+ and WeChat.